The press is being housed in my father’s garage. He recently passed and I must get it out within a week or two. Located in Quad Cities. Pick up only. 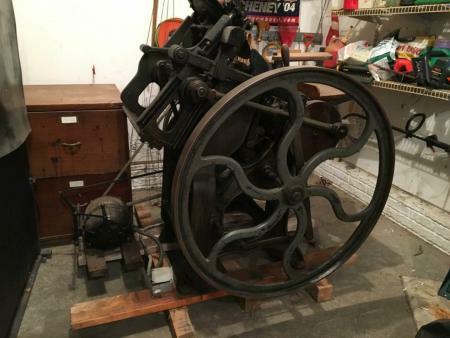 Price $1,000 The only piece missing is the treadle. 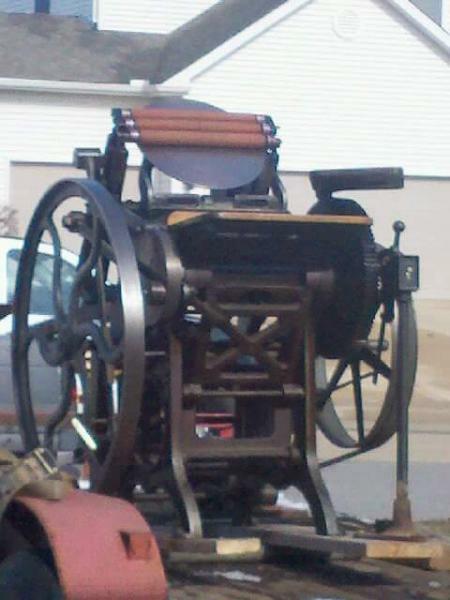 Used the press the day before it moved to the garage. It has been stored in there 6 years.